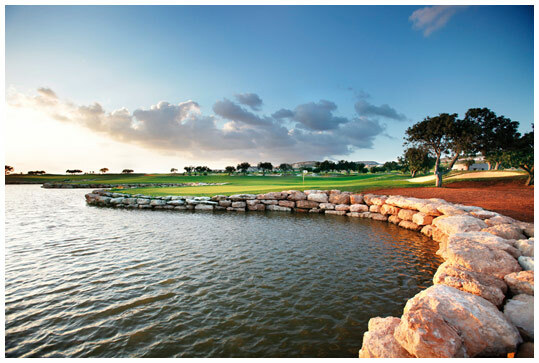 Inaugurated in 2010 The Eléa Golf Club is one of the most important new European golf courses in recent years, located at the heart of the prestigious Eléa Estate near Paphos, Cyprus, this layout offers world-class golf in a stunning setting. Designed by Nick Faldo this challenging par 71 golf course commands a striking location above the shimmering Mediterranean Sea and has been meticulously crafted through dramatic landscape, featuring imposing weathered outcrops of limestone that offer a unique character across the course. 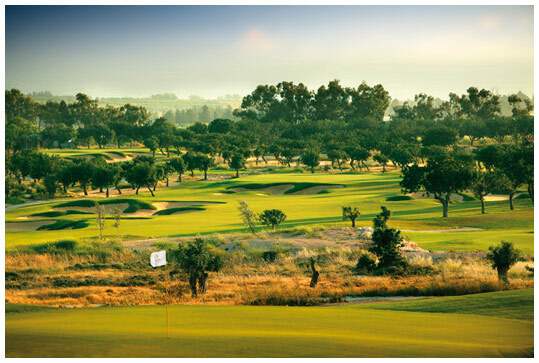 The Elea Golf Club layout circulates around a rocky hillside and filters down into groves of mature Carob trees. The designers have also made great use of the dramatic outcrops of weathered limestone that pepper the site. 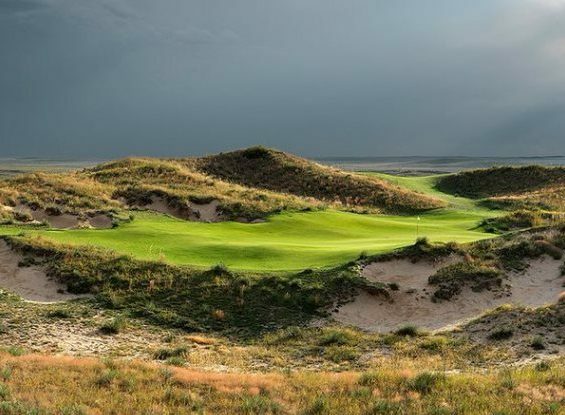 The white rock contrasts with the dark green grass fairways and semi-roughs instead of deep rough grasses the course has Mediterranean scrub of wild herbs and stunning colours of spring flora. This course works in harmony with the region’s arid landscape and, with its hill-top setting and sea views, golf at Elea Golf Club is an experience that low and high handicappers alike will want to engage with again and again. In a carefully planned ecological design, individual holes are fringed by undisturbed and un-irrigated swathes of colourful native ‘garrigue’ flora. This stunning visual effect invokes a truly Mediterranean feel, while retaining the ethos of a traditional and dramatic experience for the golfer. In addition, the wildlife of partridges, birds of prey, butterflies and lizards thrive on the benefits of this carefully protected environment. 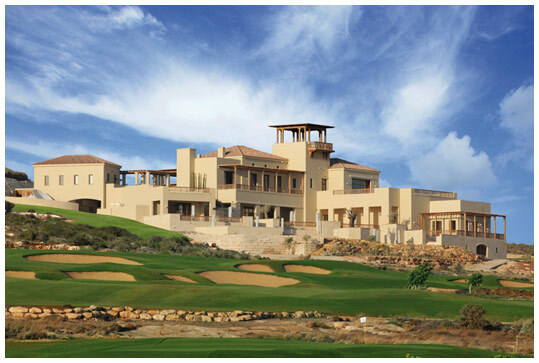 The course is also supported by the Elea Golf Academy that sits alongside the clubhouse. It features a full length driving range complete with target greens and bunkers, a short game practice area and a stunning putting green that commands an imposing location overlooking the entire estate. Golfa Magazine included Eléa Golf Cub on the Top 10 New International Golf Courses in 2010.